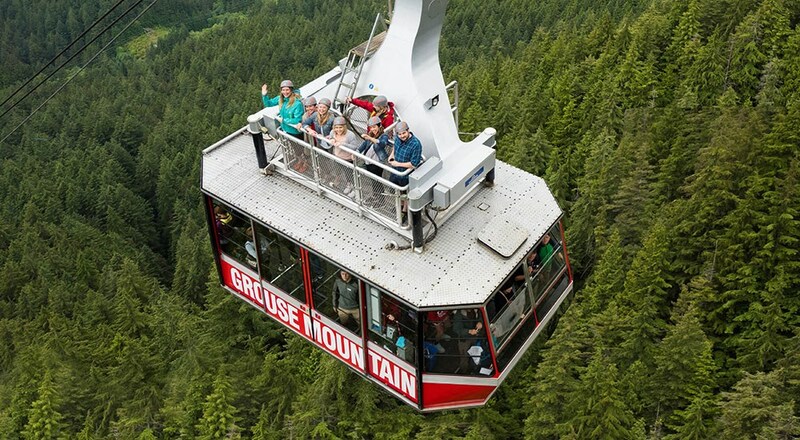 Bored of riding to the top of Grouse Mountain inside a gondola? Then Vancouver’s most popular tourist attraction has a new kind of Skyride for you. Rather unbelievably, the resort’s new Skyride Surf Adventure allows you to climb up on top of the cabins and “surf” the 1,610 metres up the mountain. “We are excited to invite guests to ‘surf’ atop the Grouse Mountain Skyride on their way to the Peak of Vancouver,” said Julia Grant, communications manager, in a release. As part of the experience you’ll also learn about the inner workings of the aerial tramway, the biggest in North America – although we’re not sure that makes us feel any less scared. Grant says Grouse Mountain is the only place in North America to offer rides on top of mountainside gondolas – and we can believe that. And if all that seems a little tame, there’s more – soon they’ll be running the Skyride Surf Adventure downhill too. Grouse Mountain begins running the Skyride Surf Adventures on Friday, starting at 8 am. The experience comes at a premium at $79.95 regular or $28.80 for members.